Started our operation in the year 2011, we, Shripad Polymers Private Ltd, Mumbai, are known among our customers for the purpose of manufacturing a wide range of Packaging Bags. The product range offered by us consists of BOPP Bag, Fabric Rolls, Laminated Flexo Bag, Unlaminated Flexo Bags, Air Bubble Rolls, Unlaminated Flexo Bags. The best quality materials are used for the purpose of manufacturing the offered range of packaging bags in compliance with the industry set norms and regulations. Used for packaging, shopping and storing purposes, the offered bags are known for their impeccable finish, high strength, durable construction and lightweight. 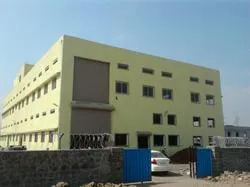 Owing to our large production capacity, rich vendor base, and well-equipped storage unit, we have been able to meet the bulk demands in the most efficient manner. Offered by us at industry leading prices, these packaging bags are appreciated among our customers. We have been backed by a hi-tech infrastructure that is well-equipped with latest tools and machinery. Our infrastructure is known for its large production capacity and it is divided into several units to ensure that all the on-going processes are carried out in the most streamlined manner. We have appointed a team of skilled professionals, to manage different units of our infrastructure in the most efficient manner. Under the leadership of our mentor, Mr. S. R. Biradar, we have been able to cater to the precise needs of our valuable customers in the most efficient manner. Backed and supported by our mentor, we have been able to cater to a huge clientele across the nation. 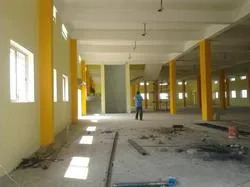 We have established a state-of-the-art infrastructure which is equipped with latest Lohia make tape plant and looms and technology spread over a vast area of land and enable us in conducting all our trade tasks under a single roof. We have installed latest tools and equipments at our infrastructure which makes us competent to efficiently meet the bulk requirement of our valued clients within assured time frame. Our infrastructure is well connected with different modes of transportation, which results in delivering all our products to the clients place within the given time period and in a safe manner. Our infrastructure is incorporated with Manufacturing unit, Quality control department, Sales and Marketing division and Administrative wing. Leveraging on the vast experience of our professionals, we have created a niche for ourselves. All our professionals are master of their respective area of work and utilize their knowledge and experience, in order to develop qualitative and cost-effective product range. In addition to this, our professionals maintain the cordial relationship among themselves, with an aim to achieve the organizational goals with perfection. Our professionals also interact with the customers, so as to understand their needs and then offer them products accordingly. To stand in the market, we have always followed a customer-focused approach to satisfy the clients in every aspect. This approach has helped us become the preferred choice of the clients among our counterparts. Our technologically advanced facilities and experienced team of professionals help us serving the clients with all their requirements in the best possible manner.